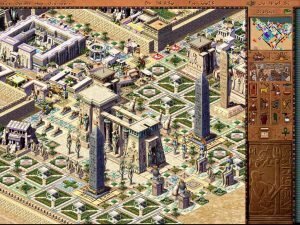 Cleopatra is an expansion for Pharaoh, a mission-based game of ancient city building that is very similar to many other Impressions games. 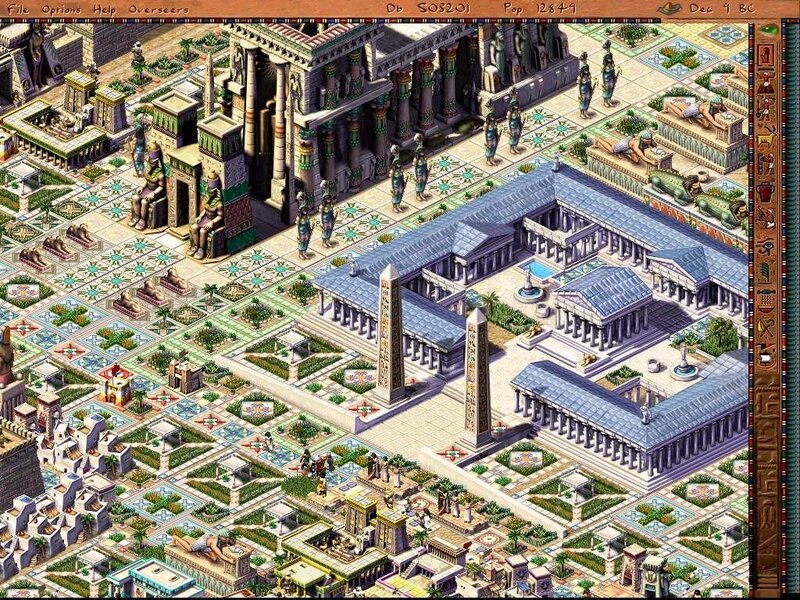 Both gameplayand graphics of Cleopatra are basically the samne as Pharaoh. 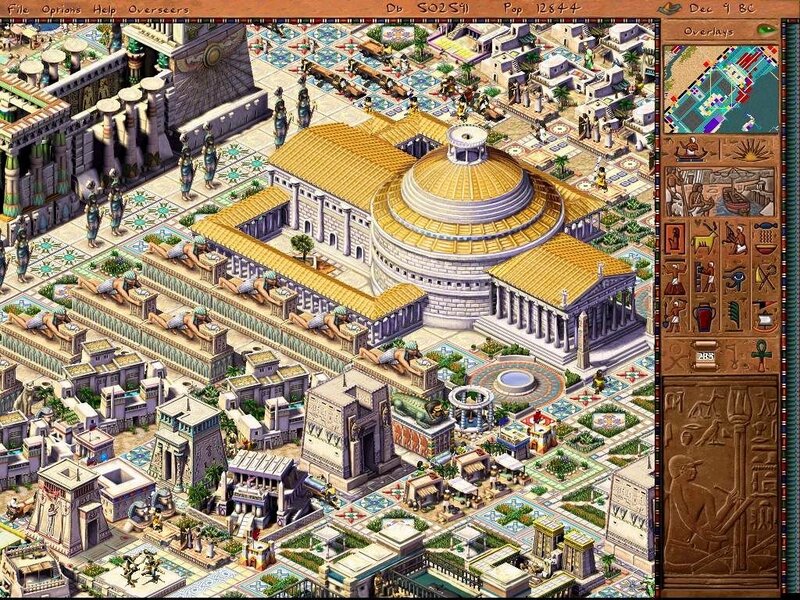 As ruler, you must keep your citizens happy, fed and culturally all the while protecting egypt from attackers. 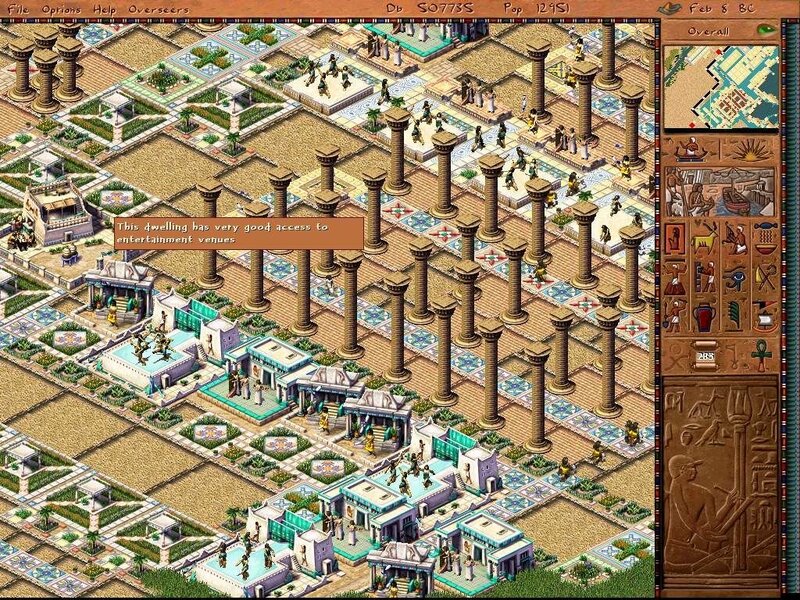 Cleopatra’s fifteen challenging new scenarios are organized into four campaigns that span the centuries from the New Kingdom to the end of Ptolemaic rule. The first campaign, the Valley of the Kings, takes place exclusively in the region west of Thebes where the world’s most famous burial chambers were constructed. 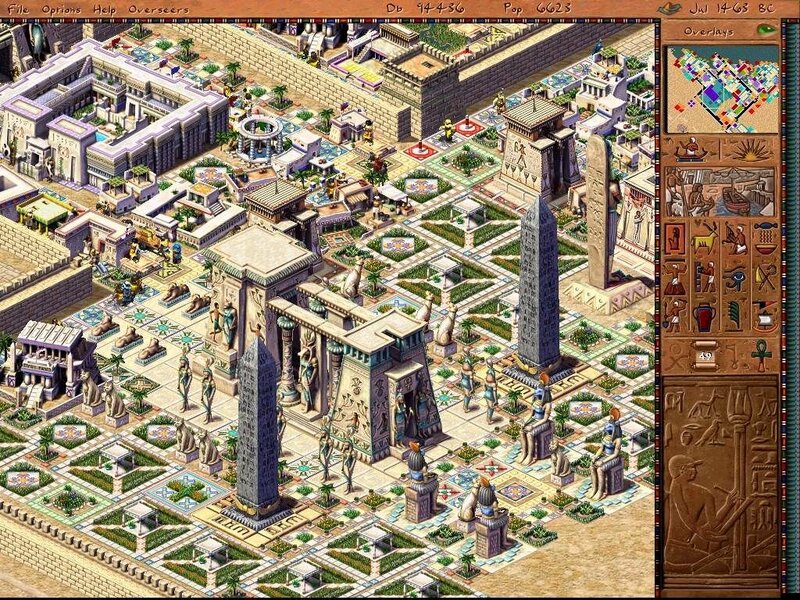 By introducing new industries (paint and lamp production) and timed missions (Tutankhamen’s premature death forces you to scramble to complete his tomb before time runs out), the first campaign compensates for its somewhat repetitive nature. 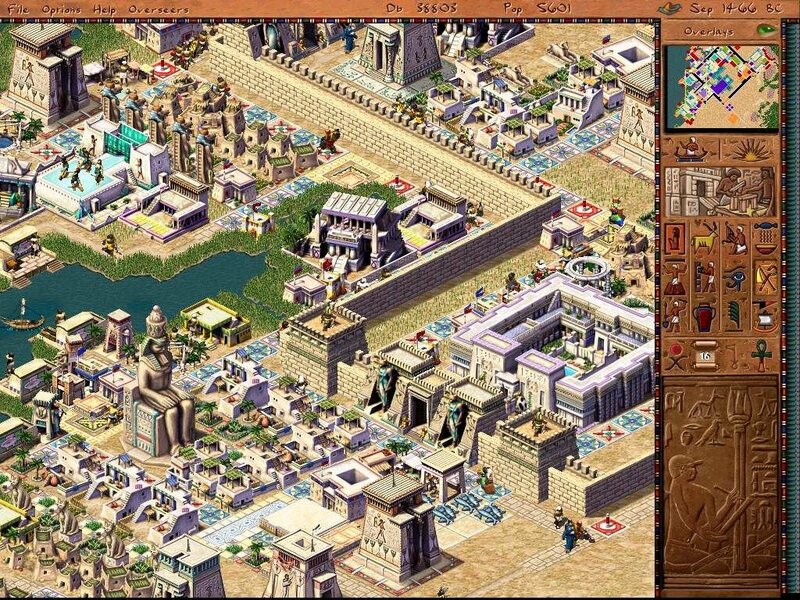 The second campaign focuses on the exploits of Ramses II, and it’s a delight. 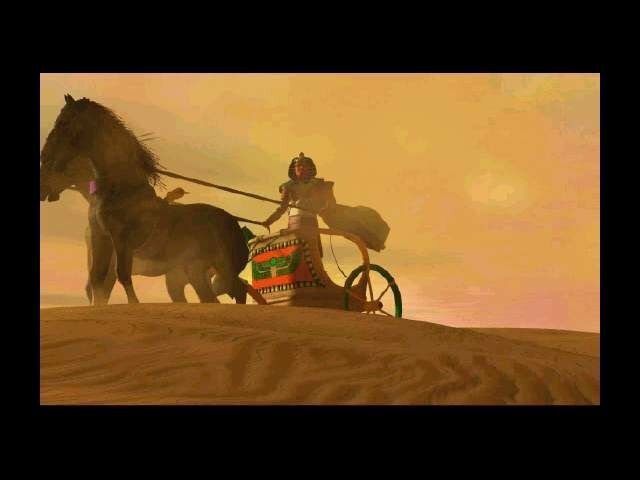 Ramses earned the sobriquet “the Great” both for his military campaigns and his prodigious construction projects. The Ramses campaign hits the high points of each, sending you from the battlefields of Kadesh to the cliffs of Abu Simbel and the tombs of the Valley. 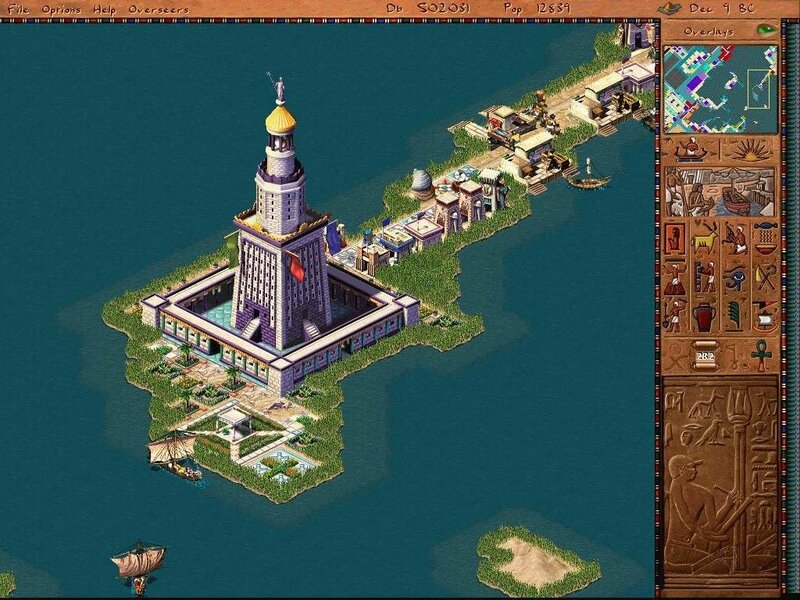 The variety of the scenarios and the beauty of the monuments you construct makes for an excellent gaming experience. 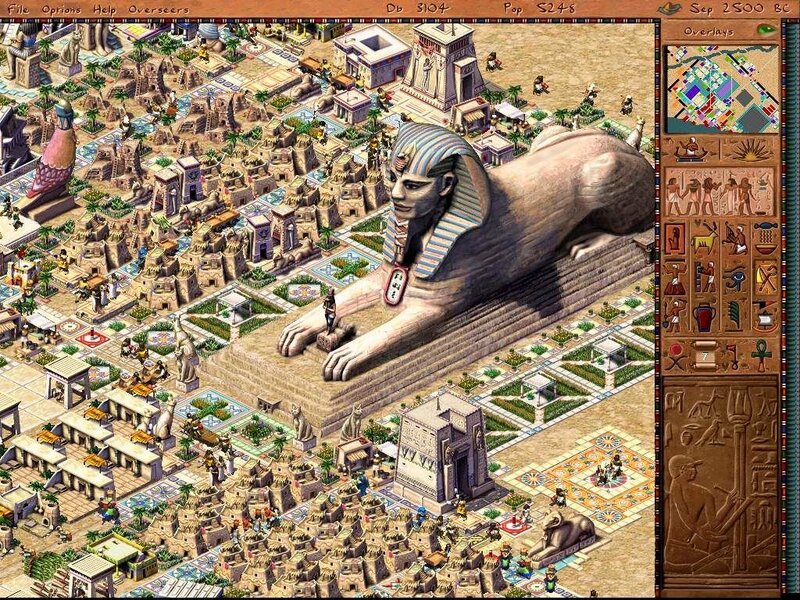 Pharaoh doesn’t clean up some of the irritating bugs that hindered the original Pharaoh. Workers still wander around aimlessly, and tehre are unexplained production stoppages. Also, the new giant scorpion attacks seem only to irritate and slow downand already long missions. There’s also combat in Cleopatra, but it’s a fairly simple mouse-cliking drag. As with most expansions, Cleopatra is mostly aimed at Pharaoh players that know the game inside and out, and can handle a serious challenge. It’s fifteen missions (spread over four campaigns) will suit veteran players, although a little bit of polish to them would have helped spruce up the game’s spartan presentation.